because the house will be renovated in the beautiful Allee. 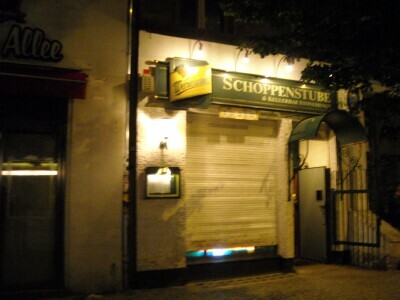 The "Schoppe," as the pub was called for short, is the oldest gaybar in the capital. In DDR times, one of the few venues in the east scene. The late 1980s , it was also the local scenery for the Heiner Carow's film "Coming Out". 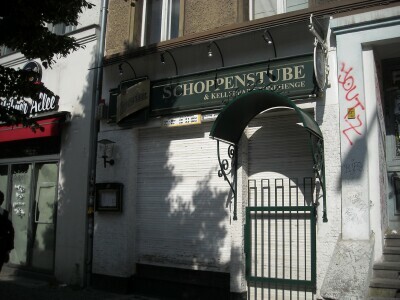 After the fall of the wall it had the first party of Nina Queer found in the "Schoppenstube" . The tenant landlord Wolfhard was 38 years behind the counter and is now 68 years old. located in the district of Prenzlauer Berg. The oldest gaybar in Berlin.